We follow government policy and gather information from patients, health professionals and partners to ensure that we commission the right healthcare, in the right place, at the right time. Commissioning decisions are made in public by our Governing Body. The role of the Governing Body is to ensure that we function effectively, efficiently and economically, and that decisions are made in an open, fair way. The CCG acts in accordance with national policy and following guidance issued by the Department of Health and NHS England. As part of this process, NHS England monitors our performance against a wide range of national targets and indicators. Listening to our patients is vital if we’re to commission better health services for our local areas. We take every opportunity to involve you in our decision-making and want to hear about your views and experiences. We are a membership organisation of GP practices in Bristol, North Somerset and South Gloucestershire, so we know first-hand about the healthcare people want. Ensuring that all our member practices engage in decision-making is a priority. Every month, elected representatives from our member practices meet to comment on and contribute to commissioning plans at an early stage in their development. 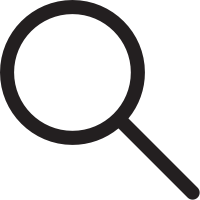 We work closely with local authorities and other organisations to identify health trends and inequalities in our area. This enables us to commission services that address particular health needs. 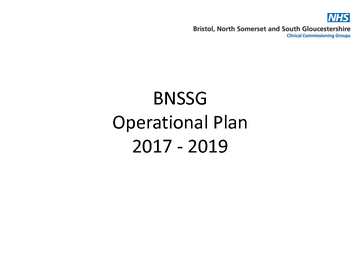 Our operational plan for Bristol, North Somerset and South Gloucestershire. Find out the focus areas that have been identified to meet the needs of our population. The areas of work we will undertake in 2019/20. Some of this work will be completed during the year but other areas will need further investigation and the work delivered in future years.